Susan Pranata is a commissioner of PT Indonusa Dwitama since 2006. She graduated with a “Dipl. Des” (DIPLOM DESIGNER) a degree in commercial graphic, Hochschule der Kuenste, Berlin, Germany. 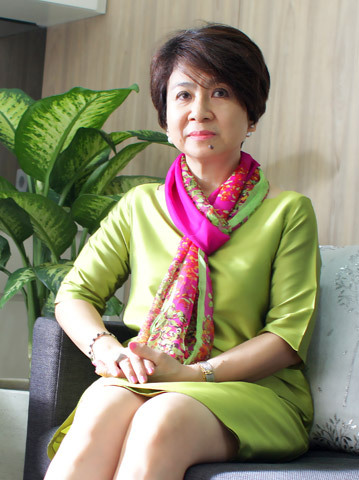 Susan has over thirty years of experience in commercial leasing and real estate of major commercial properties focusing within Jakarta’s central business districts. Susan currently the head of the Corporate Marketing of PT Intiland Development Tbk. She is an active member of Real Estate Indonesia (REI) since 1994 and member of the Indonesian Chamber of Commerce and Industry (KADIN). Prior to Intiland, Susan proven track record in real estate crafted while she was with PT Procon Indah/Jones Lang Wootton between the period of 1984 to 2008 raising to the position as National Director & Head of Client Relationship Management Division.